Che cosa è ENOS ? 28 reefs are waiting to be discovered from you. 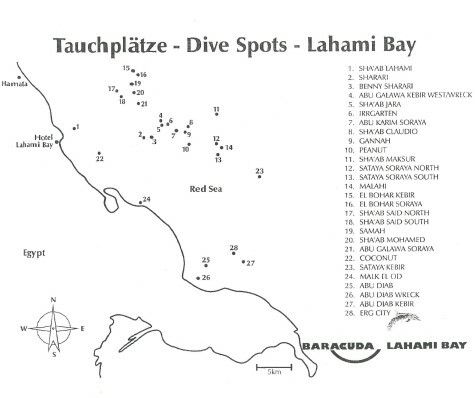 The distances from the marina are between 30 minutes and 2,5 hours..
Beautiful corals and fish schools whereever you look, this is diving in Lahami Bay! Places like Shaab Claudio and Shaab Maksur are also Highlights on liveaboard trips.